Moal Coachbuilders: Our Passion is to blend the visual softness of hand-made parts with computer-generated elements to create automotive art. 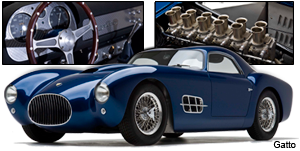 The distinctive and spirited high-performance motorcars built at the Moal works in Oakland California, are among the finest examples of the coachbuilder's art in the world. Each daring rakish, technologically-advanced and finely-crafted roadster to roll out of the expansive design and fabrication center is linked to a Moal family heritage in Oakland, one dedicated to the motoring arts for nearly a century. 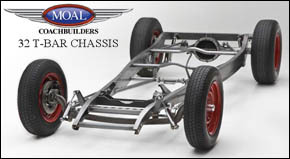 The Moal team is equally adept at the creation and appointment of a unique and complete motor vehicle to fabrication of custom components, restoration and re-creation of metalwork for collector and concours d'elegance customers, and customization of the company's series-built line of Roadchamp roadsters. All contents copyright � 1969-2013 Moal Inc. All rights reserved.